We ship exclusively via the US Postal Service and will not ship without tracking, so at times this may be more expensive but in the long run, its something that is necessary considering most of our items are relatively irreplaceable. Everything is automatically calculated by weight & container dimensions for you via our cart system so all you need do is choose the best option once you enter your location. International customers have the most choices, which are explained below. If you have any questions, please use our Contact Us page and we will get back to you as soon as possible. Please note areas outside the “Continental” USA may incur higher rates. This can be the least expensive (in most cases, up to 2 pounds weight) for our customers outside the USA. It is stated to be a slower delivery on average but some destinations have reported no real time difference between this and Global Priority. The USPS does not state an definite time range for this option, but normally delivery should be within 2 to 4 weeks. Some may be sooner, but there are no guarantees. Also a signature is required for delivery. We offer this option because it has minimal tracking and in a lot of cases, rates are less than Global Priority. This option can be the fastest advertised rate and provides the most reliability/tracking compared to the Registered 1st Class. We offer this choice for all weights and is calculated automatically in our cart system. However it is also the most expensive choice as well. It may be the best option for shipments requiring larger boxes or higher weight totals. This is a relatively new shipping class and could be the best option for International destinations if the order falls within the weight and spatial limits of the container. Please Note that the USPS reports this shipping method is somewhat less likely to have exact tracking of package. Now..we do not know exactly what means either, but our interpretation is that tracking of shipment may not be available at all times during the trip, but should be able to report where and when the package arrives. We can ship up to 4 Clamshell Blister items, or up to 8 “loose” cars for one rate, which currently is $25.95. We really discourage this shipping option for an item that includes a matching “acrylic display case” because the dimensions of the flat rate container do not (in our opinion) allow adequate room for packing the case properly, although it does fit in the container. We believe that the case would be overly susceptible to damage during shipping due to its tight fit in the container. We will offer this option for up to 2 items (and display cases), HOWEVER, we will not be responsible any damage incurred during shipping. The buyer will agree to these terms by choosing this option during checkout. Again, these options will be automatically calculated for you during checkout and also in your cart if you have a current account here at Hot Toy Cars.com. All available options will be presented for your destination and shipping weight of items. 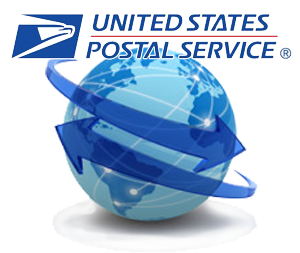 If you do not see an option for shipping, please use our Contact Us page and tell us your location desired for shipment so that we may make arrangements to accommodate your destination.